Mockups that set a highly realistic scene and that allow the viewer to easily visualize the projects set is a great tool for graphic designers, and they always provide an opportunity that should never be missed. And this is the reason why we’re so excited to share with you this next resource. 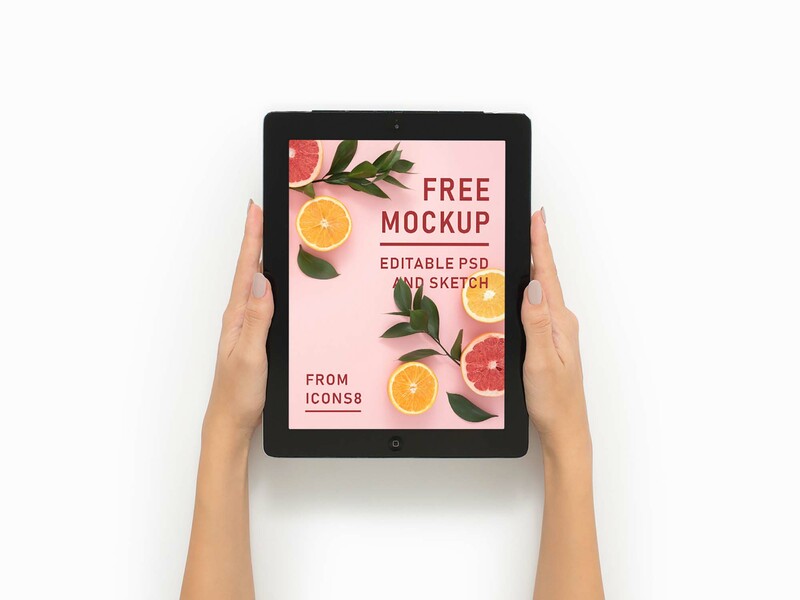 This is the free iPad 12.9 mockup created and shared by Margarita Ivanchikova. It showcases one black iPad set between a pair of hands from a top view to allow you to represent your ideas and designs in a clear way. This lovely PSD mockup was made of a photo from Moose, and the best thing about this tool is that not only can you easily insert your designs with a couple of easy steps, but you can also bring your personality to the table by editing the background colors as well.